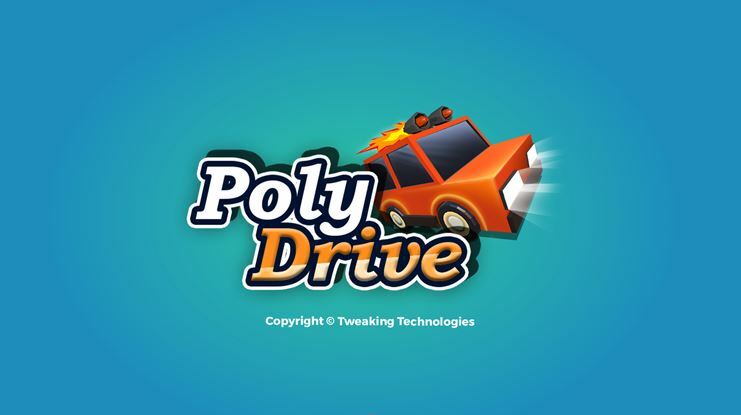 Poly Drive Review: Amazing Endless Poly Attack Game: In the league of poly games, Poly Drive has done a firm entry with latest updates and more features. Now you can find more cars in the garage and drive, run and even fly your car for an amazing experience. It is loaded with some amazing features to enhance poly car game experience. It offers endless poly attack to crash and shoot down enemies in a flash. Playing this game, you will never run out of bullets for endless fun. It even offers some amazing power ups and other features for gaming fun. To experience and enjoy this amazing game all you need to do is, just download and start playing the game. Endless drive & fly away feature. Endless shooting to shoot down enemies. 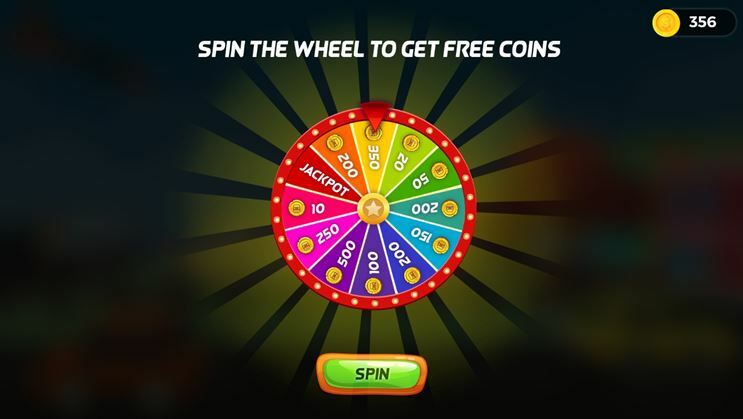 Earn more coins with Spin the Wheel. New and powerful car collection. 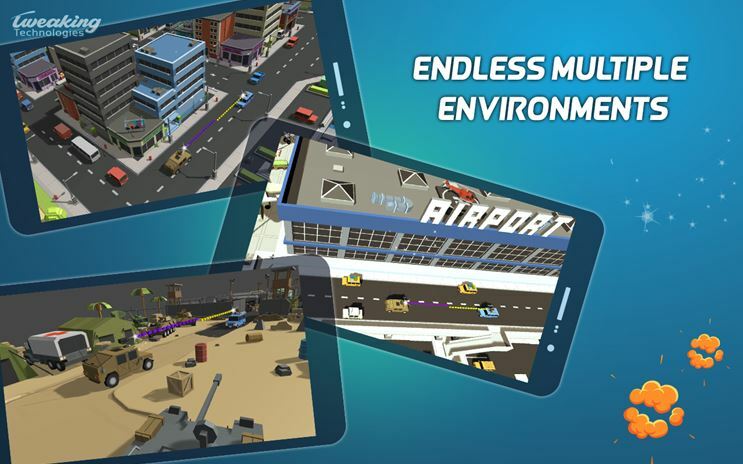 Numerous colorful environments for endless gaming fun. 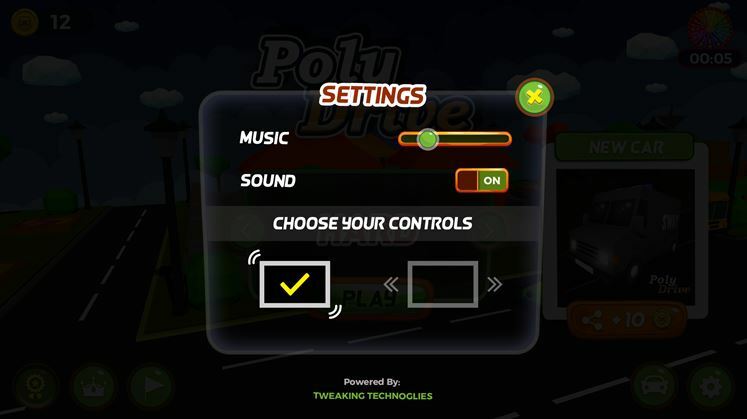 Endless Driving: Once you hit the Play button you enter the non-stop race of poly car for endless driving fun. While driving, you will face endless cars coming from the front which you need to shoot down thus it keeps you engaged all the time. If you love driving, then you can experience it with Poly Drive endless driving feature. Apart of it, with latest updates now you can fly your car while shooting the enemies and collecting coins. Endless Shooting: With endless driving comes endless shooting experience. While playing the game, you will never run out of the bullets. It keeps on filling bullet cart automatically for endless shooting fun. So, don’t stop shooting your enemies and earn coins. 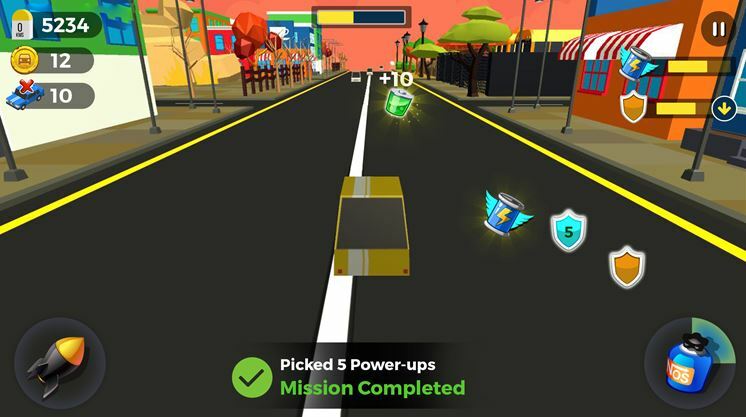 Interesting Power-ups: Poly Drive offers some interesting power-ups to boost your gaming experience. These power-ups include shields, nitro, bullets, health, and jetpack. Shields: It offers some interesting shields to protect your car from enemies coming from front and their bullets. You can earn these shields while being on track. 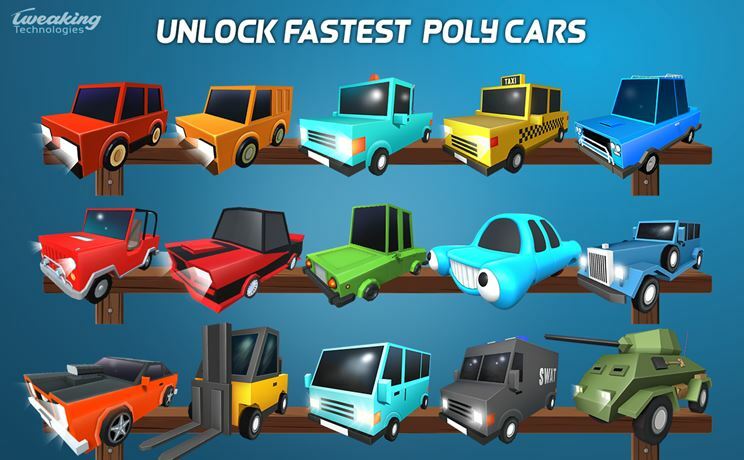 Unlock Some Amazing Poly Cars: With recent update, poly car garage has seen entry of some amazing and powerful cars. Now you can select from mini cars, pickups, sedans, SUVs, tow truck, super tanker and much more. It is sufficient to enhance your gaming experience. Bonus Coins: Spin the wheel feature is added in addition to bonus points already you earn while shooting down enemy. Now earn more coins and buy better cars from the garage. Vivid Environments: More poly car game environments are added with recent update to improve your gaming experience. In addition to desert, park and city environment new environments are town, war zone, airport, railway and much more. Settings: By heading to settings, you can change music and sound settings. Further, you can select from Tilt to Steer or Tap to Steer options. Unlimited Nitro: Poly Drive offers an unlimited nitro feature for more speed & power. It is auto-filled for the uninterrupted powerful driving experience. Share recently unlocked cars with friends. Intuitive Leader Board with distance covered information. The Verdict of the Game: Poly Drive is designed to provide endless driving and shooting experience to gaming enthusiasts. It offers numerous shields, power-ups, environments, big garage and many other interesting features which make it one of the best poly car games. It offers uninterrupted gaming experience to users for improved performance. If you are poly games lover, then Poly Drive is designed for you.